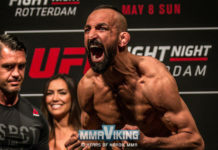 With only a few day remaining before the scheduled June 16 main event in Jordan, Reza Madadi found out about an injury to his opponent title holder Matt Veach. 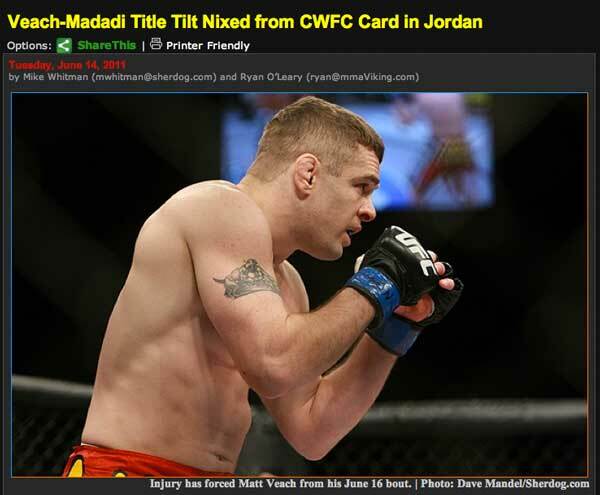 Now that the title is not on the line, Sweden’s Madadi will not be on the card. 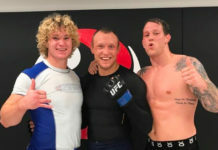 MMA Viking was also able to speak to “Mad Dog”. 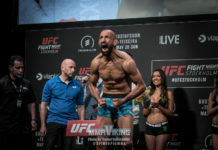 The current Superior Challenge lightweight champion was very disappointed, as he was looking forward to fighting for the much coveted Cage Warriors title. He also said that he was in great shape, and pointed to the much circulated pictures of his physique leading into the fight as proof. 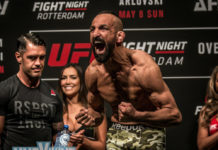 All the luck to Madadi as he looks to collect additional belts, and draw more attention to his stature as a top lightweight.